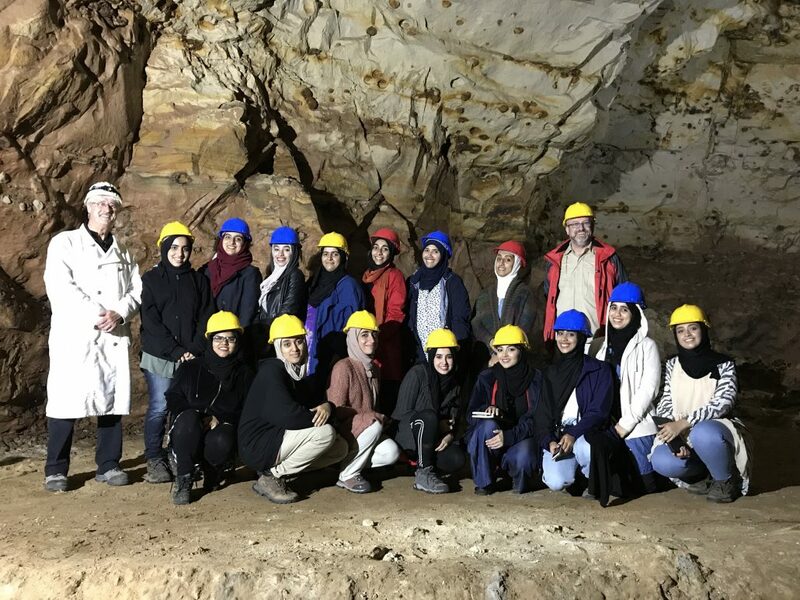 MUSCAT To explore the geology of Germany, a group of Omani geoscience students and their professor from the German University of Technology in Oman (GUtech) have conducted a geological study-excursion to Germany. During the two weeks trip the fifteen 3rd year students visited the Eifel region, located in the Western part of Germany, close to the city of Cologne. In addition, the students visited different cities like Cologne, Bochum, Xanten, and Aachen. “The goal was to familiarize the students with different aspects of applied geology such as the development of natural resources or the usage of ground- and sub-surface water as well as natural stones in the lower Rhine district. With a focus on the presentation of thermal springs, coal and base metal deposits as well as volcanic rocks, we gave the students an overview of topics that cannot be presented in Oman, due to its geoglogical composition,” said Prof. Dr. Wilfried Bauer, Associate Professor at the Department of Applied Geosciences at GUtech who organized and headed the excursion. The Eifel region is famous for its magnificient geology and many historical mines that were closed around 50 years ago. Therefore the group from the GUtech had the chance to visit the old lead-zinc mine of Mechernich in the Eifel region. “Despite the fact that the deposit with 125 million tons ore is the largest lead resource in central Europe, mining stopped in 1957 due to very low commodity prices. Other aspects of applied geoscience like the coal mining in the Ruhr area, cold natural springs of Spa in Belgium and the hot springs of Aachen are further highlights of this trip,” said Prof. Wilfried Bauer. Furthermore, the students had the opportunity to attend various lectures at the Department of Geosciences at RWTH Aachen University, GUtech’s partner-university in Germany. A number of GUtech alumnis are currently studying in MSc programmes at RWTH Aachen University.